Welcome to the Arner Auction Service Web page. 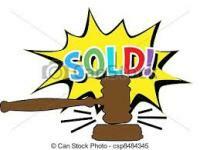 Here you will find information about our service as well as view our auction bills. Hopefully you will find this web page to be very helpful in finding information about Arner Auction Service and their upcoming auctions. Arner Auction Service is owned and operated by Chadd Arner. Chadd is a member of the Nebraska Auctioneers Association. Arner Auction Service has been in business since 1996. This is a family operated business with the help of some very good friends. Arner Auction services customers in all realms of lifestyles. We service household, farm, machinery, liquidations, benefits, and also estate sales. This website is dedicated in memory of Evelyn Hewitt, Gordon Caparoon, and Don Buckmaster. Without their help we wouldn't be the company we are today.